As my little guy keeps growing and getting bigger, it seems like the days keep getting shorter. He recently started crawling and that means getting into everything. Keeping up with him along with my 2 daughters has kept me busy to say the least, and unfortunately he doesn’t always get the one on one time he deserves. So, I recently started focusing on his feeding time and making it a time when I can bond and focus solely on him. 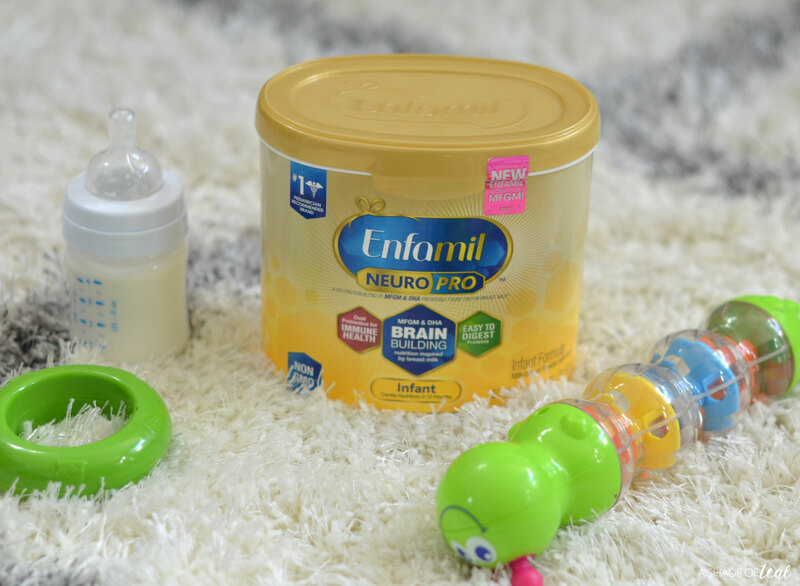 Visit Enfamil online to learn more about NeuroPro™ and request a free sample. It’s amazing what a little one on one time can do. 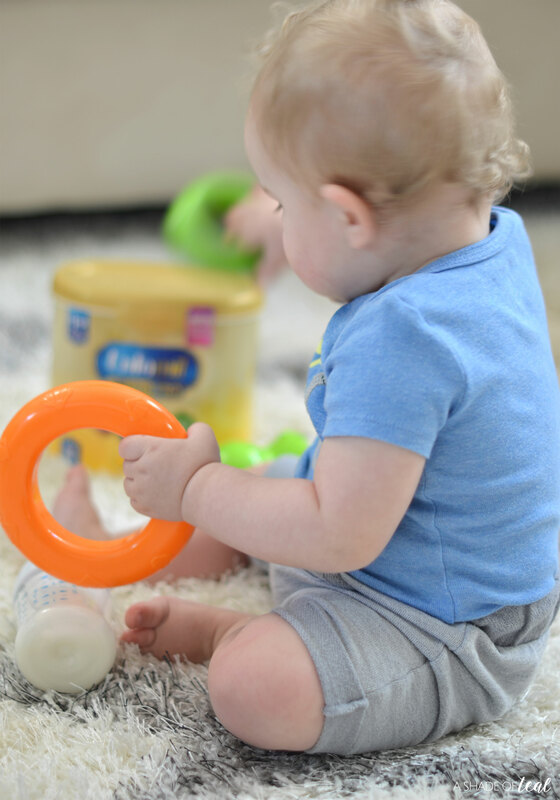 We start off by playing with his favorite toys, and then finish with his bottle. I don’t get to do this for every feeding, but as long as I do it a couple times a day I feel like it’s a win. Of course he loves the extra play time we get together, and I love that it allows me to slow down, put away my phone, and relax for a moment. 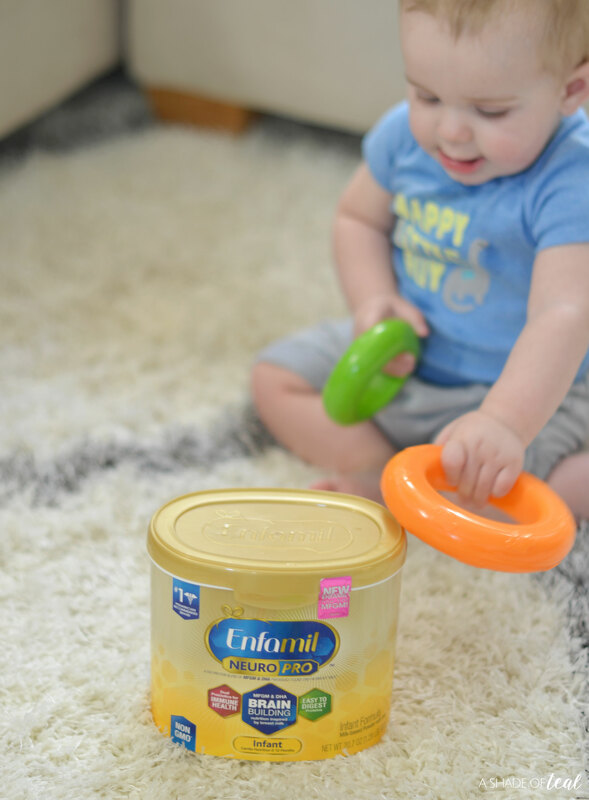 Plus, he’s so excited every time we sit down, not only because it’s play time but also because he gets his Enfamil NeuroPro™ bottle! 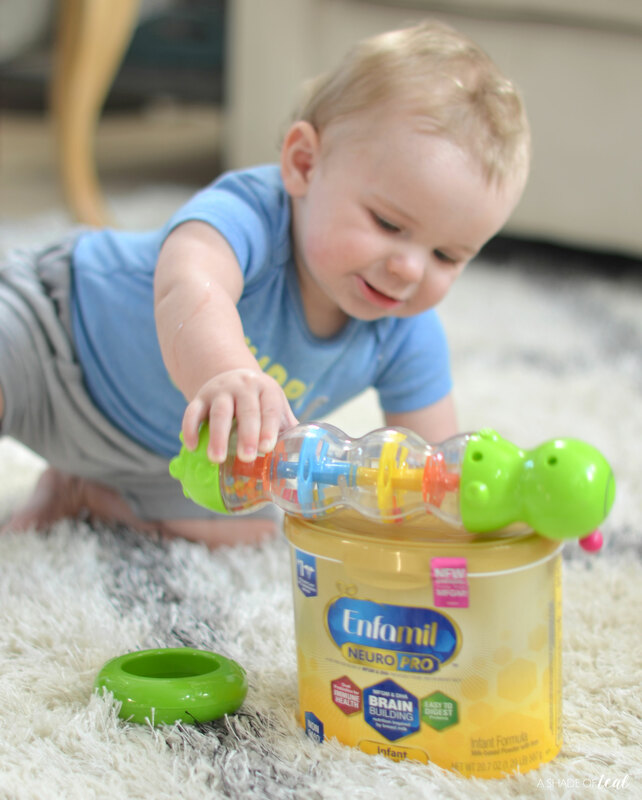 He loves his bottle, and I love that he’s getting Enfamil NeuroPro™ infant formula. 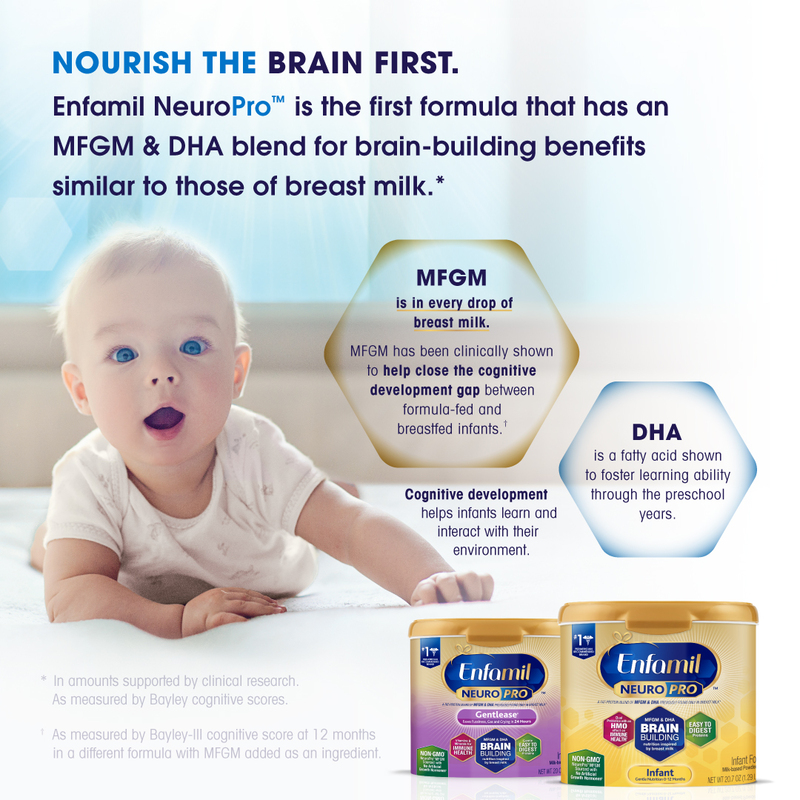 Enfamil NeuroPro™ formula has a brain-building fat-protein blend of MFGM and DHA previously only found in breast milk. 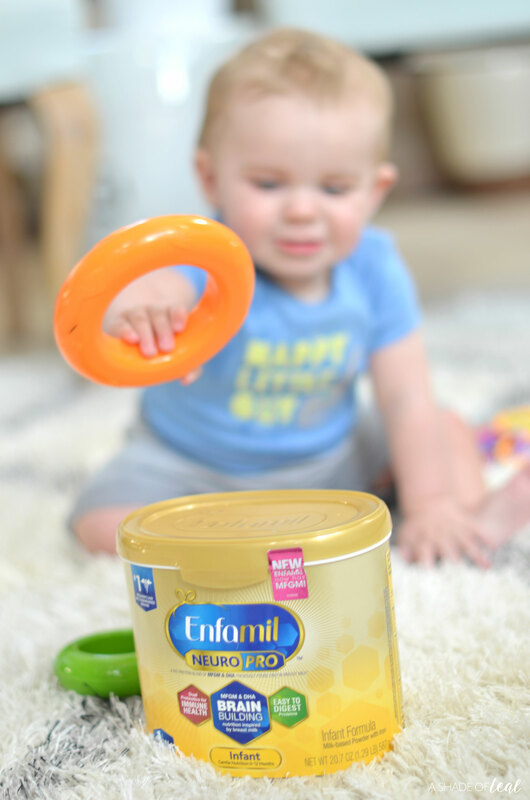 * Enfamil® is also the #1 brand of infant formula recommended by pediatricians and has been trusted by hospitals for over 25 years. 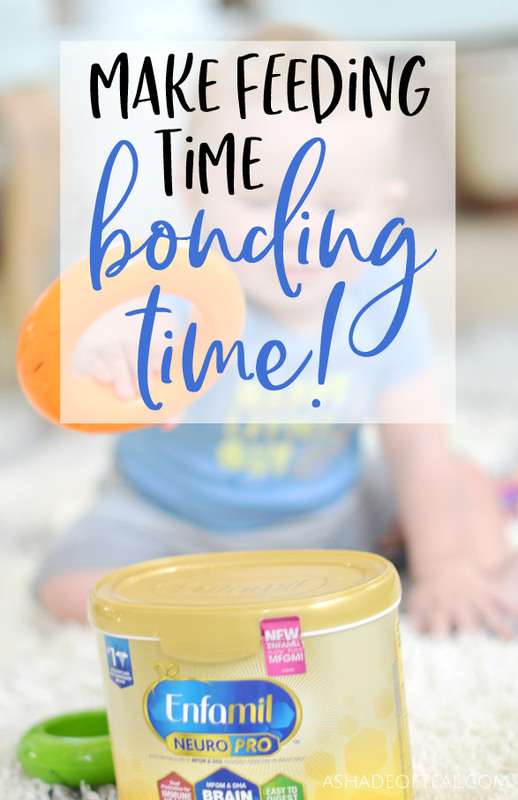 So, when it comes to feeding and nourishing your baby, you may decide formula-feeding (exclusively or supplementing) is the best option for you and your little one. 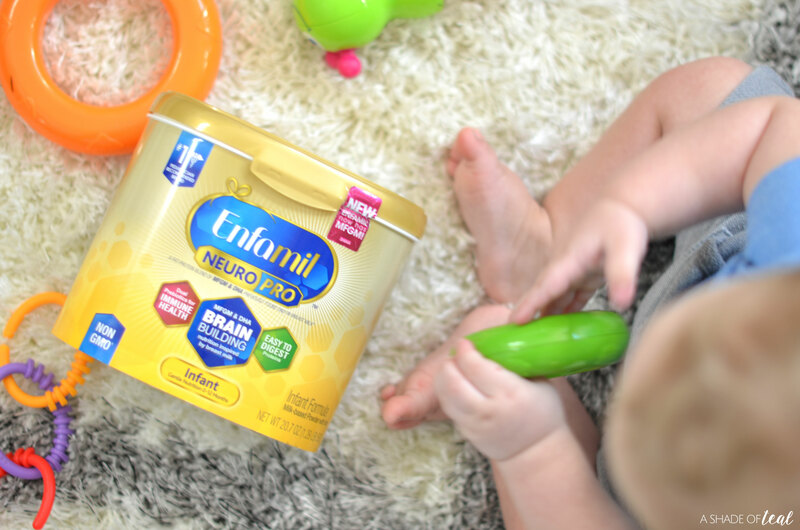 Enfamil NeuroPro™ is the first and only formula to add MFGM as an ingredient in amounts supported by clinical research. 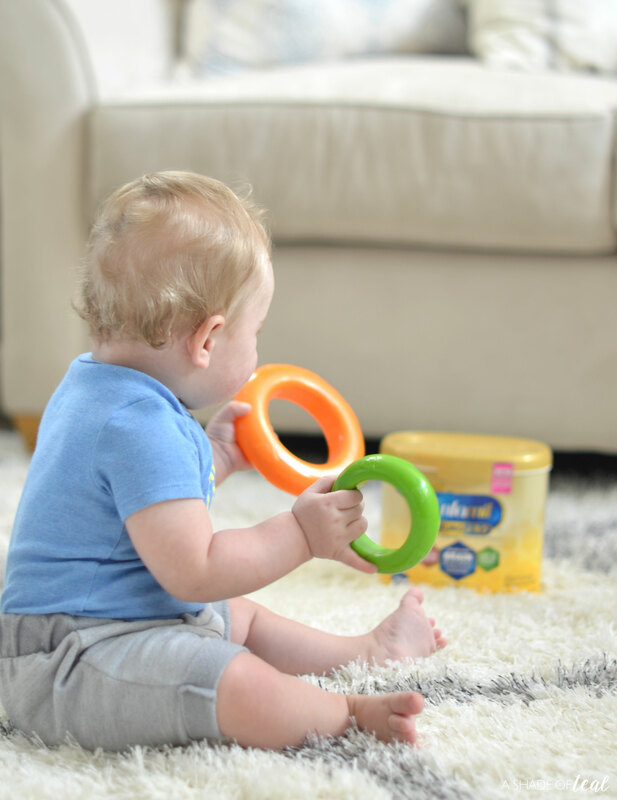 Visit Enfamil.com or call 1-800-BABY-123 (1-800-222-9123) for more information and to request a free sample. Life doesn’t seem to be slowing down anytime soon, so I’m happy to make a change by now making feeding time a time to bond with my little guy! 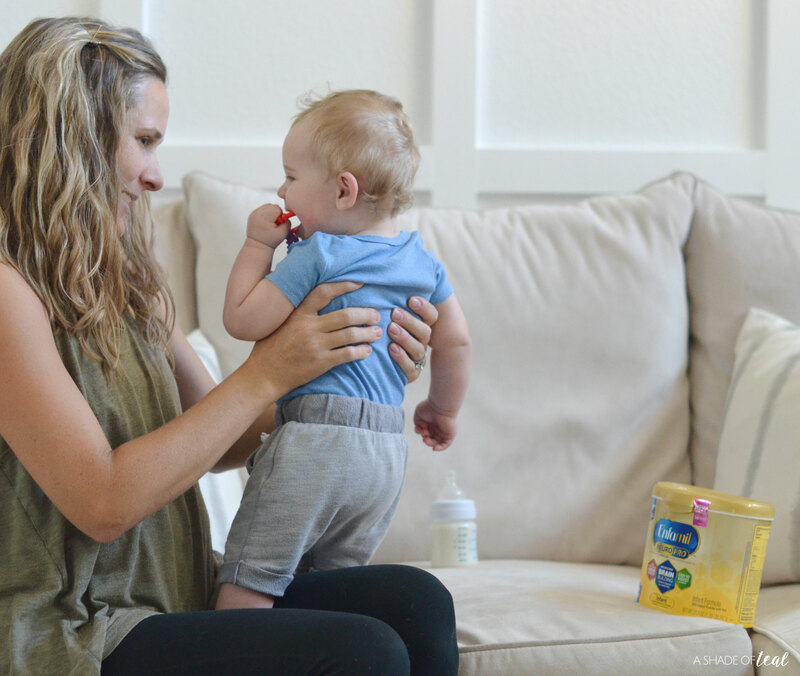 How do you make sure your baby gets the extra attention they need? *In amounts supported by clinical research. As measured by Bayley cognitive scores. 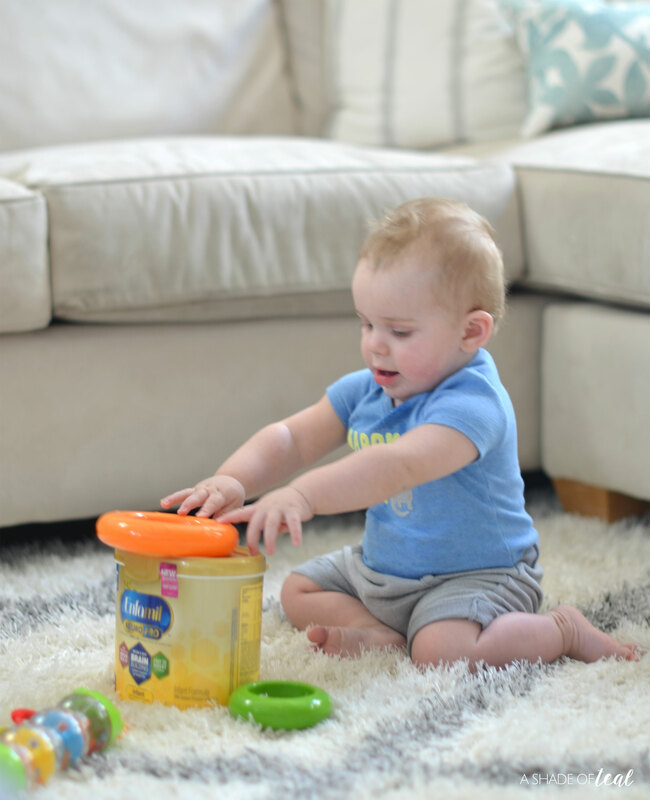 **As measured by Bayley-III cognitive score at 12 months in a different formula with MFGM added as an ingredient. This is sponsored by Enfamil® Infant Formula. « TubShroom, Must Have Bathroom Accessory!